Valencia is extremely well-known for its City of Arts and Sciences, Valencia offers this to the tourist and much more, it also offers the possibility to be reached by AVE, what makes the journey to Valencia a whole experience in speed, comfort and low prices, low prices if you book the tickets AVE Valencia on Trenes.com and with our search engine, which will always show you the cheapest AVE Valencia tickets. Because we can travel to Valencia by AVE from different Spanish locations, and at the best price for AVE Valencia tickets. We have the cheapest AVE Madrid Valencia tickets, as well as the AVE Sevilla Valencia tickets, the AVE Cuenca Valencia tickets, the AVE Ciudad Real Valencia tickets, the AVE Córdoba Valencia tickets and the AVE Requena Utiel Valencia tickets. If we want to travel by train to Valencia from Barcelona,?we also have the cheapest train tickets Barcelona Valencia, either by train or AVE, we always give you the best offers for your Valencia train tickets and AVE Valencia tickets. Besides the speed and the low prices that we offer you in the tickets AVE Valencia, there is one more advantage: the station of Valencia, called Joaquín Sorolla, is one of the most central stations of Spain. More specifically, it is in calle San Vicente Mártir, 171. With the best prices for your tickets AVE Valencia, we can visit, in addition to the aforementioned and well-known City of Arts and Sciences, a lot of other things, like the Barrio del Carmen and its Palaces, a neighbourhood of streets that seem a labyrinth and that is flanked by medieval buildings, take advantage of your cheap trip in AVE to Valencia to visit the palaces, the Towers of Serranos and the Towers of Quart. Also visit Plaza de la Virgen and the cathedral complex of 21 centuries of history that houses important monuments such as the Miguelete, the Cathedral of Valencia, the Almoina, the Basilica de la Virgen and the Tribunal de las Aguas, which we can visit on Thursday at noon and that is an Intangible Heritage of Humanity. Whether you travel to Valencia by train or by AVE, visit also the Plaza del Mercado, the Lonja de la Seda, also declared a World Heritage Site, and close to these points of interest we also have the Church of the Santos Juanes. These and many more are the places with more history of Valencia, but if in addition to visiting monuments, we want to rest, practice sports, go to the beach, etc., all this will be available on our trip by AVE to Valencia. For example the beaches of Malvarrosa and Cabanyal (Las Arenas) have a beautiful promenade and are located very close to Marina Real Juan Carlos I, where in addition, for a better enjoyment of the tourist, we can visit the building of the Clock, the building Veles e Vents and Tinglados of the nineteenth century. A natural area of?great beauty is the Albufera Natural Park, just 10 kilometres from the centre of Valencia. Continuing with the natural areas we can not miss the Turia gardens, of 9 kilometres, that cross Valencia from west to east to the City of Arts and Sciences and give us the opportunity to cross them by bike, for example. Stop at the Palau de la Música and observe one of its most peculiar bridges. And since you've travelled with the cheapest AVE Valencia tickets, indulge yourself and drink an horchata or eat a paella by the beach. There are two train stations in Valencia. One is called Valencia Joaquín Sorolla and the second, Valencia Nord. Both stations are located in the city centre and are not far from each other. They are separated by a walking distance of 10 minutes. The Valencia Joaquín Sorolla station offers long distance services with high speed trains that are connected with Madrid, Barcelona, ? ?Cuenca and Albacete. It provides services of AVE, ALVIA and EUROMED. This train station is also known as AVE Provisional Station, opened on October 13, 2010 and it bears the name of a well-known Valencian painter. Despite being provisional, and built as such, it is still being used as the new AVE station for Valencia remains as an architectural project still to be built. The project is in the hands of the Galician architect César Portela. An architect with much experience and after finishing the building of the Bus Station of Cordoba in 1999, he was awarded the National Architecture Prize for his work. 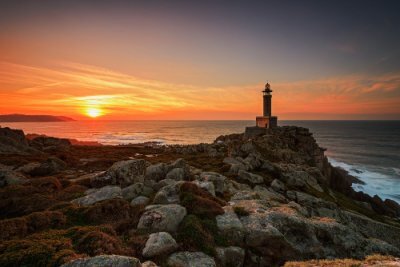 Other of his significant works are the Faculty of Fine Arts in Pontevedra, the Palace of Congresses in A Coruña and the famous lighthouse in Punta Nariga. As we have commented, he is the one who takes the project of the new and definitive AVE train station that which is going to be known as Parque Central. They gave him the project because he won the contest. It is therefore a work that has been going on paper for many years but for reasons we do not know, the construction has not started yet. According to the architect Portela, he took much into consideration the existing station Valencia Nord when designing the Central station of València. He wants to create a station that when travellers come and look they might know where they are, he wants to project Valencia at the station. As it will be is still a mystery.